Splurge-free, I hear you ask? Well, yes, I would consider under £100 for three pairs of incredible shoes, a massive bargain. Just recently I managed to find three pairs of amazingly on-trend shoes in TK Maxx, that came to £90 all in, despite there being other versions of said shoes all over the high street, for around that price PER PAIR! That just won’t do, so I thought I’d show you the three pairs I picked up, so that you might save yourself a small fortune too. 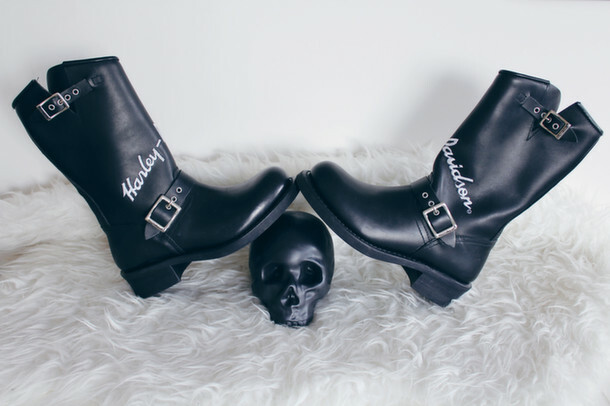 The first pair are these Harley Davidson boots, and being as I adore biker style anything, these are 100% up my street. Boots like these are all over the high street, and let’s face it, summer in the UK does not mean you can put these away and forget about them until autumn. In fact, these are very festival friendly and festival appropriate footwear always sees a high mark up this time of year on the high street. I bagged these for just £45, a complete steal! Secondly I have these gorgeous white cleated soled boots, which due to the sole alone would see a higher price significantly in any other shop. Cleated soles are everywhere right now, and stores are hiking up the price of footwear with this on-trend detail, so £24.99 for these boots was a steal in my eyes. I love the sci-fi-esque detail on these, and the buckles, it just adds the edge that I’m always after, especially in footwear. White is massive for spring/summer this year, so these couldn’t be more on the money. They’re on-trend and on-price. 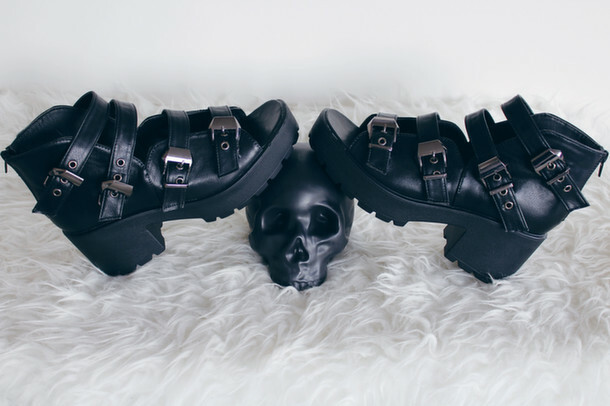 Last of all, I couldn’t resist these buckled sandals. I’m adverse to overly girly footwear, but these mean I can rock summer frocks without going into girly overload and still go for a grungy vibe when the sun shines. 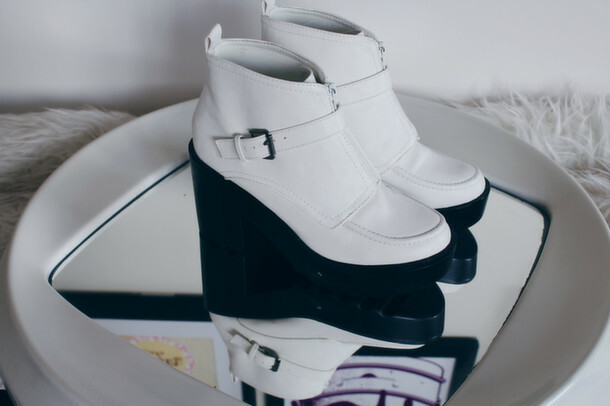 These were the cheapest shoe of the day at just £19.99, which is a fantastic price, as there are many Jeffrey Campbell and Vagabond styles and copies that are still way more expensive than that. I’d highly recommend popping into TK at the moment to see their footwear range, they’re killing it, and selling on-price pairs that look way more expensive than they are. You absolutely cannot go wrong.